Bob Hinsdale at 17 years old. Edward Morisette upon entering the service. After the war, Morisette returned home to Michigan and went on to serve as a police officer in Mt Clemens. Bob Hinsdale grew up on a farm in Sand Creek. 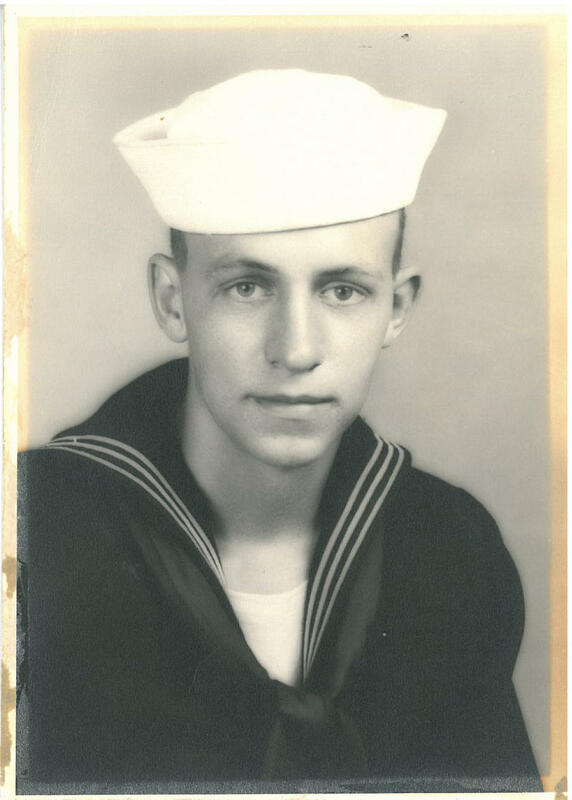 He was drafted into the Navy in 1943. 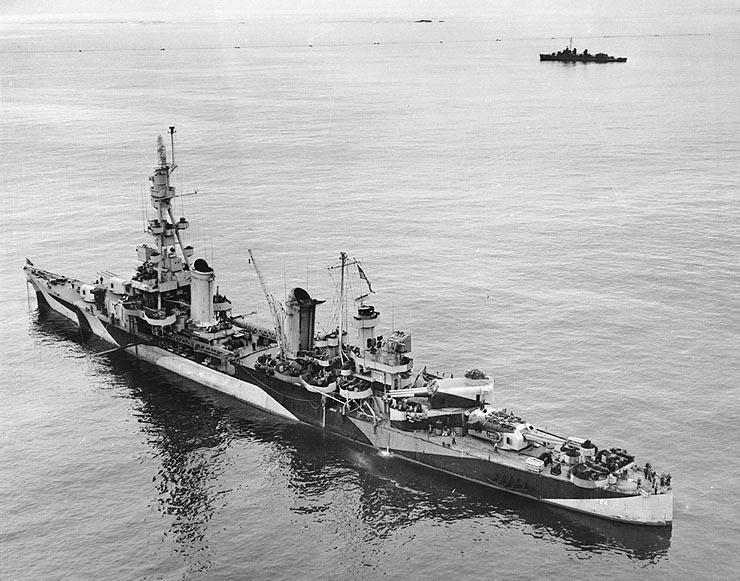 Hinsdale served aboard the USS Pensacola, a heavy cruiser. The Pensacola's guns were used in many major battles as U.S. forces "island hopped" their tortuous way towards Japan. 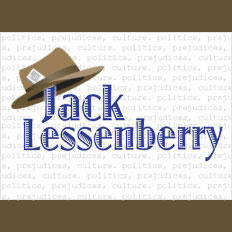 He fought at Tarawa, Wake Island, Iwo Jima, Okinawa and more. Hinsdale and the Pensacola were in the Aleutian Islands in Alaska when V-J day came. Then it was off to Japan where they occupied the city of Ominato. His job was guarding a barn that held a stockpile of surrendered Japanese guns. After the long years of war, it was his chance to see the people of Japan. Hinsdale returned home to Sand Creek after the war and started his own dairy farm called "Bob's Mootel". Morisette helped bring troops, supplies, and equipment right to the beaches aboard the USS LSM 367, a "landing ship medium." 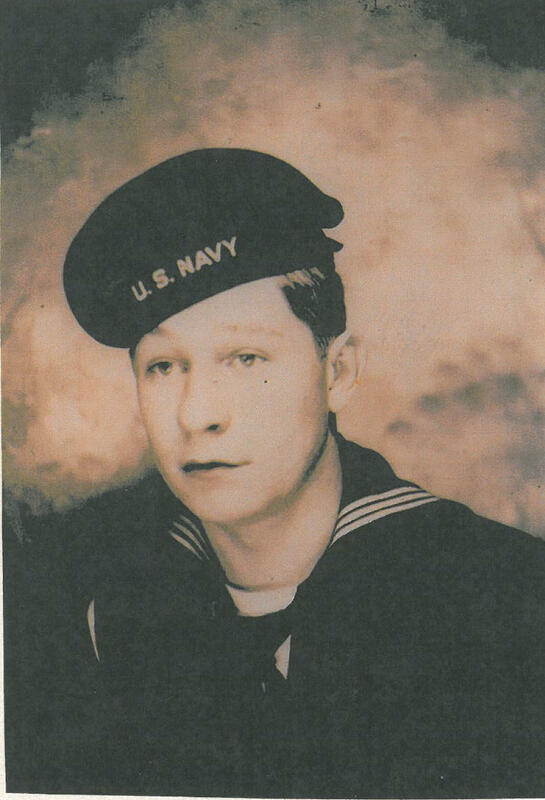 The USS Pensacola was stationed several miles off the island and Hinsdale says he saw less combat, but as a part of communications during the later part of the war, he was always aware what was happening on land. Both Morisette and Hinsdale witnessed kamikaze pilots and recount how they felt watching as boys their age or younger completed these suicide missions. "I didn't realize it until after the war how these kids weren't supposed to give up. They were supposed to die for their country. I just couldn't believe they were brainwashed that bad," says Hinsdale. Hinsdale says he never was completely fearful during the war. He attributes this to his young age and position outside of direct combat. "I was 18 and just didn't have any fear,” he says. But Morisette says ships like Hinsdale’s were really the target. "They were after him more than us," he says. "They wanted the battle wagons and the cruisers." Morisette witnessed the sinking of the battleship Pennsylvania. But another sinking bothered him more. "The worst thing of all that really hurt me, the hospital ship Comfort," he says. "I saw that hit with two bombs and two kamikaze planes and I saw them guys jumping off." Morisette notes that targeting a white Red Cross ship was against the laws of war and he says the attack didn't drum up as much attention as he thought it deserved. While both can remember the celebrations and relief when the war ended, it still was another year before they were released from the service and able to return home. Morisette says he thanked God upon the initial announcement of the war's end. 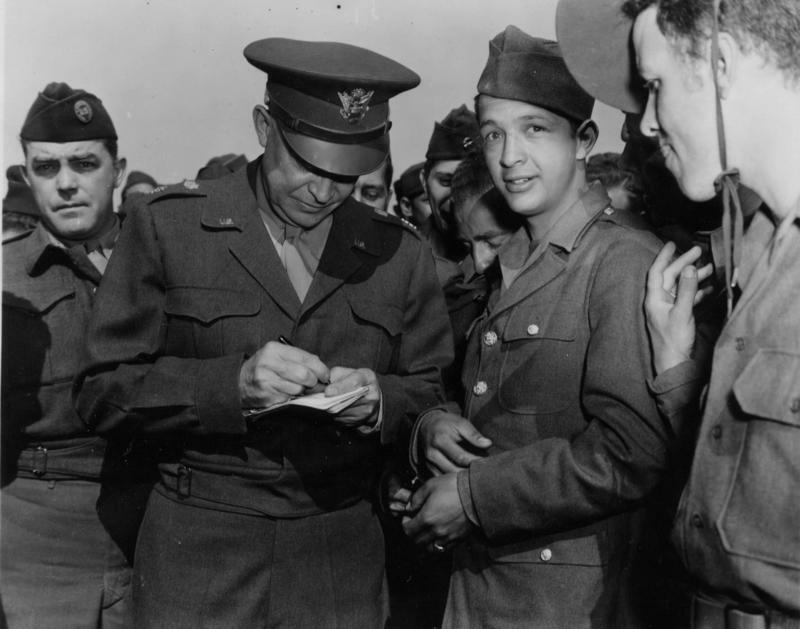 "Thank God, let me out of here, but we immediately had our sailing orders to go to Guam and pick up the occupation troops," he says. Even with this delay, Morisette says there was a immense change in the crew’s morale. And he was thankful just to be able to turn the ship’s lights on a night. But both continue to remember their contemporaries that were lost. Morisette left high school with three of his friends to join the service. He was the only one who returned home. “The parents of these three, you talk about coming home. It just overwhelmed me. The one mother said I'm not leaving you out of my sight,” he says. This Sunday Royal Oak will be commemorating V-J day with a celebration of the 70th anniversary put on by the Michigan World War II Legacy Memorial. It was one of the most jubilant days in history. VE Day: the end of the Second World War in Europe. David Kiley of Ann Arbor has a unique link to that historic day 70 years ago. 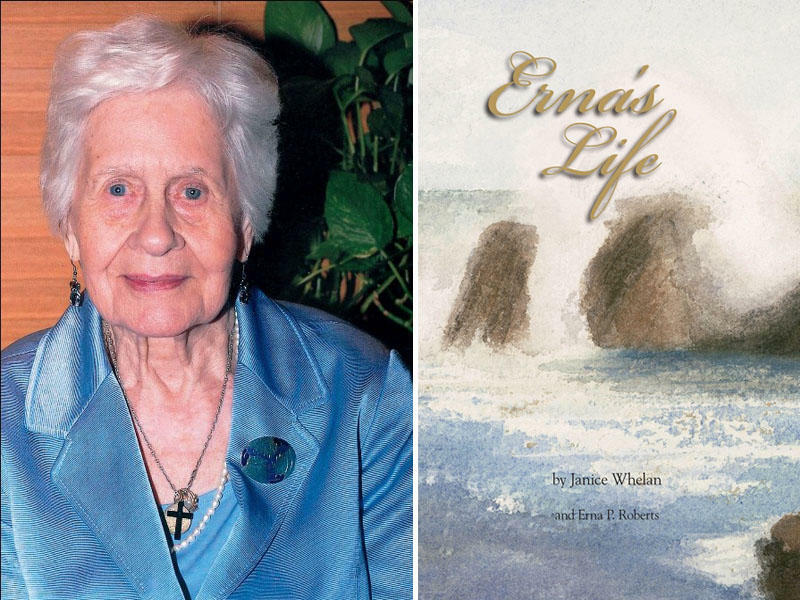 Listen to Stateside's conversation with Janice Whelan and Erna Roberts, authors of "Erna's Life." Erna Roberts has had a full life. As a survivor of the WWII Nazi takeover of her homeland, Latvia, as well as two separate Russian occupations, still living on her own at the age of 97 is the least of her feats.